Hugh Rouse, of Rouse Insurance and Health and Safety Advisor says ‘We are all horrified at this week’s London fire. What those people experienced is almost unthinkable, and the horror continues as relatives look for their missing family. But what can we do? Let us all do something positive this weekend to protect our families by checking our home for fire safety. Have you an escape plan in the event for a fire? What would you do if the stairs are unusable/blocked? How would you exit your home? Have you discussed the plan with your family including children? Remember, smoke may force you to crawl along your escape route, this changes the complexion totally and you need to ensure you do not become disorientated. Have you got fire extinguishers at home and are they in working order? 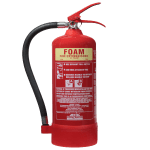 All good hardware stores sell multi-purpose fire extinguishers that can be used on any type of fire. Consider having one near the kitchen and up upstairs. 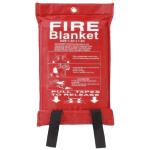 A fire blanket can smother a fire at your cooker. Have you one installed, far enough from the cooker so you can get to it in the event of a fire? They are designed to be hung on a wall for ease of use. Smoke is the silent, deadly, enemy. Do you have smoke detectors? When did you last check them? Most modern burglary alarm systems can include mains powered smoke detectors which offer far greater protection than the battery operated ones. 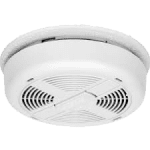 Smoke detectors are relatively inexpensive and there is no reason not to have several around your home especially in the stairwell and outside bedrooms. Be a good neighbour, help elderly neighbours check their smoke detectors. Turning off all electrical devices at the sockets. Ensure open fires/candles/cigarettes etc. are correctly extinguished. That keys to any locks are conveniently located. Many of us may hope to take a holiday in the near future and can find ourselves in multi storey hotel or apartment complexes. On arrival check the escape routes and ensure that you know where the nearest stairwell and emergency exit is is (lifts will be turned off in the event of a fire). Familiarise yourself with the fire escape plan which is normally displayed in all apartments / hotel rooms. Also pick a spot for your family to meetup in the event of you getting separated.